Delicious promotional Candy Chocolate Eggs 50 gram Pillow Pack are such a sweet treat. The branded Candy Chocolate Eggs 50 gram Pillow Pack can turn your promotion from good to great. 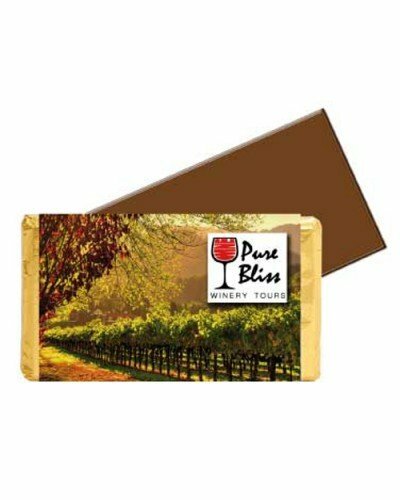 With delicious chocolates inside a neat printable pack, this unique item easily becomes your marketing hero and will definitely elevate your company to greater heights. Use this for your next promotional campaign and soon you’ll have new customers calling your phone lines for your services. The custom Candy Chocolate Eggs 50 gram Pillow Pack is filled with 50 grams (15 pieces) of milk chocolates that are covered in a rich sugar-coated crust. These chocolates are in the shape of eggs and have been designed and coloured to make them look more enticing. This visual appeal is complimented by the pillow pack with its clear transparent design. The Pillow pack is 85mm in width, 60mm in height, and 29mm in depth. You can add your custom design to the pillow pack through a full colour printable sticker that has an area of 50mm in width and 40mm in height. We recommend that you send us your corporate logo or any other custom design that you think will represent your brand well. Or you can also send us a holiday themed design if you’re planning on giving them away for those type of occasions. 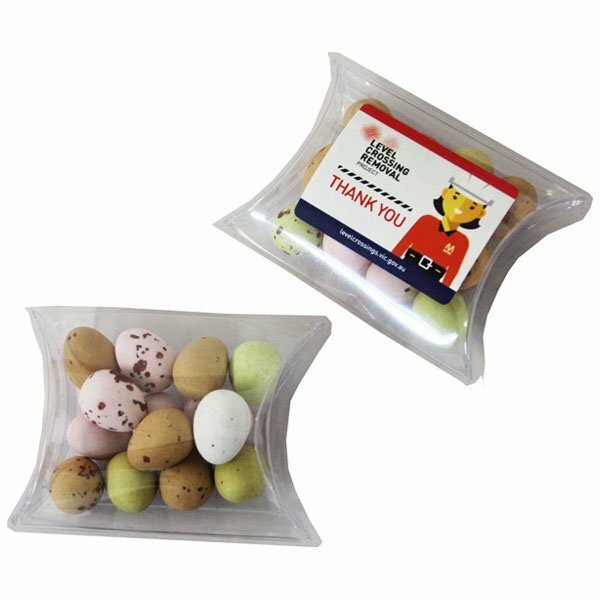 You should also take a look at the customised Mini Solid Easter Eggs White Noodle Box for other alternative packaging you can use for chocolate eggs. 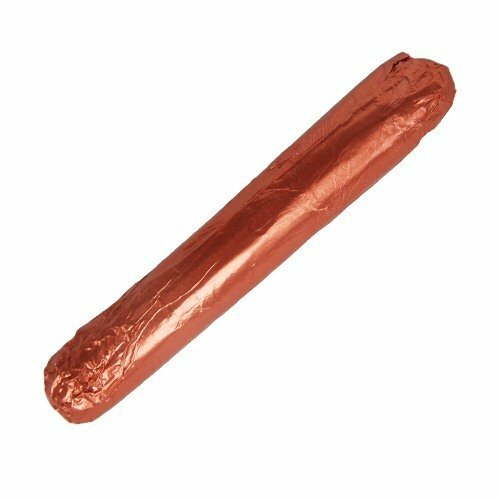 Likewise, the promotional Easter Eggs 130 gram Small Canister is also a great alternative. You can give us a call if you need advice with our products, or if you have questions that you’d like us to answer. By the way, we find that headwear and confectionery go hand in hand. 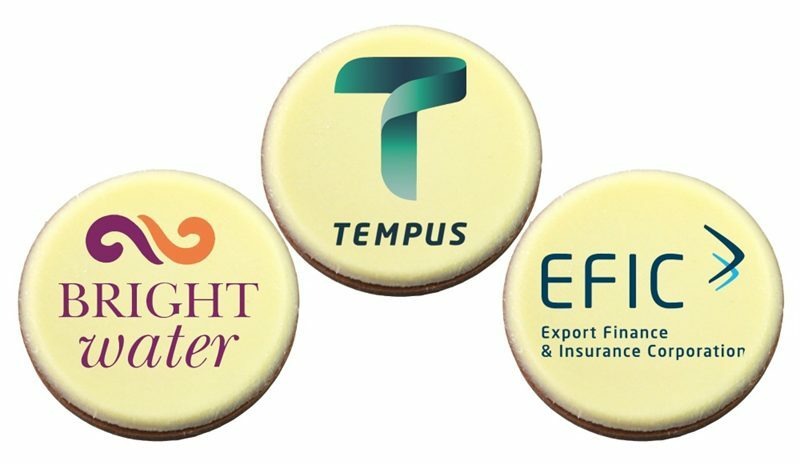 As a result we have a winning range of promotional caps at our Fast Caps website. Why not hop over and check us out once you’re finished shopping here? If you’re event theme happens to be celebrating our rich national heritage then do consider our custom Serpent Cap to kick start proceedings. You can ask your queries through our chat application on this site, or you can also call us through our hotline by dialling 1300 008 300. We’re excited to hear from you and make you a winning promotion.